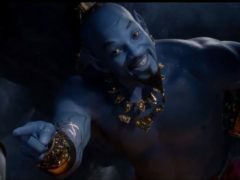 Will Smith has confirmed his Genie in the live-action Aladdin remake will be blue following a backlash from fans. The long-running Aladdin stage show will be replaced by a new production of Mary Poppins in the West End. Generous audiences at an Aberdeen pantomime have helped raise a record sum for charity. 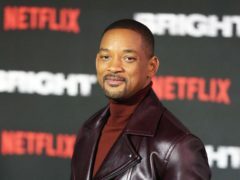 The Fantastic Beasts And Where To Find Them sequel, Stars Wars spin-off Solo and live action adaptations of Aladdin and Dumbo pushed spending on film production in the UK to a record high in 2017, new statistics show. It’s good to be bad ... just ask Jimmy Osmond who’s loving his star turn in the sparkling Aladdin panto at His Majesty’s. We've teamed up with APA to give one lucky reader four tickets to see Aladdin in Aberdeen. Review: Laughs, spectacle, song and dance … what more could you really wish for from Aberdeen’s Panto? If you had three wishes for a great panto they would be jaw-dropping spectacle, stunning song and dance numbers and more laughs than you could rub a lamp at. Panto fans are set to see their wishes come true at His Majesty’s Aladdin this year – without the help of a genie. The stars of Aberdeen’s biggest pantomime are back to delight young and old with their version of a festive classic. The Attic Theatre's pantomime at the Tivoli is now established as a festive tradition - and this production is another cracker.